Lenovo Moto, following the launch of the Moto G5 Plus earlier this month is back with another G series smartphone, the Moto G5. It is set to unveil the smartphone on April 4 and has already started sending out media invites for the event to be held in New Delhi. 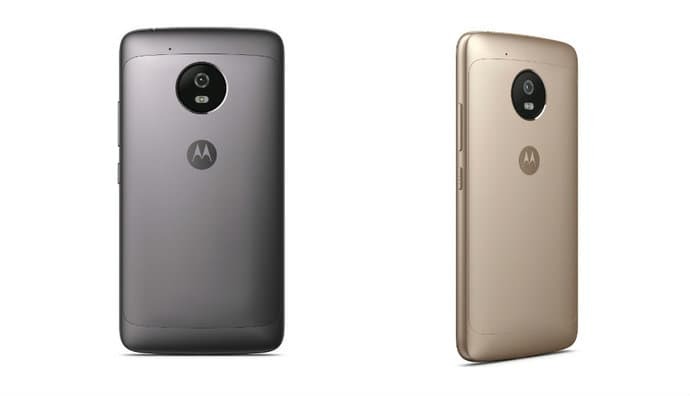 To recall, the Moto G5 was announced alongside the costlier Moto G5 Plus at the stage of Mobile World Congress 2017 (MWC) held in Barcelona, Spain. With the India launch, the company is trying to keep both the major e-commerce players of the country happy, as the Moto G5 Plus was Flipkart exclusive while the upcoming Moto G5 will be exclusive to Amazon India. Talking about the specifications, the Moto G5 shares some of the design cues and features with the already available Moto G5 Plus. There is the same metal unibody design but with a smaller 5-inch Full HD (1080p) display offering a pixel density of 440ppi with Corning Gorilla Glass 3 on the top for protection. At its heart, there is the Qualcomm Snapdragon 430 chipset which is expected to be paired with 2GB or 3GB of RAM and 16GB or 32GB of internal storage with options for expansion via microSD card by up to 128GB. The Moto G5 will run Android 7.0 Nougat out of the box and will come loaded with features like Moto Display, Moto Actions and Google's AI Assistant. In the photography department, there is a 13-megapixel rear camera with f/2.0 lens, phase detection autofocus (PDAF), 1.1µm sized pixels and dual-LED flash. For selfies, there is a 5-megapixel wide-angle front camera. Connectivity options include standard features like 4G LTE, Bluetooth v4.2, Wi-Fi 802.11 a/b/g/n etc. The entire package is fuelled by a 2,800 mAh battery with support for the rapid-charging feature. 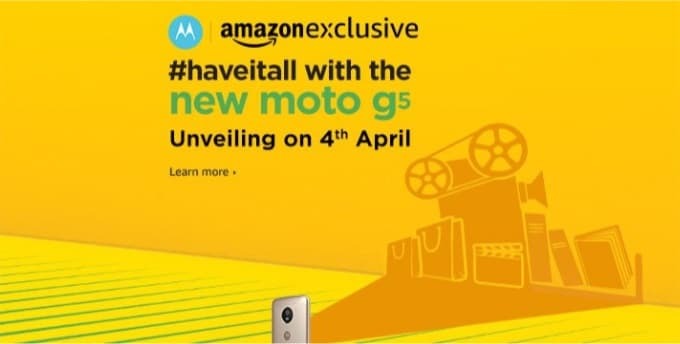 The upcoming Moto G5 will be available only on Amazon India and will go on sale at midnight, April 5 with special launch offers for the Amazon Prime customers.